I came to Canada in 1997, after emigrating from Sri Lanka. Back when I lived in Sri Lanka, I was a high school math teacher. In Sri Lanka, I completed my Bachelor of Science degree as well as special training for math. Upon arriving in Canada, I completed my Early Childhood Educator diploma at Seneca College. 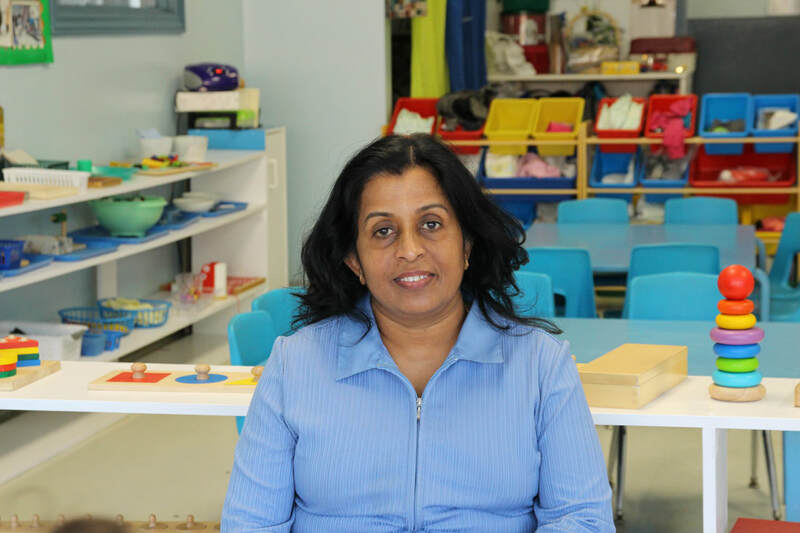 Before beginning my position at Montessori Learning Centre of Pickering, I worked at the YMCA, Little Treasure Preschool and Learning Jungle School. The method in which I taught at my previous workplaces and Montessori Learning Centre differed for me initially, as Montessori Learning Centre was a school-environment which was new to me, however I was able to adjust over time. My experience at Montessori Learning Centre has been wonderful for a variety of reasons such as the positive environment, kind and respectful employees, a principal who I feel comfortable speaking to, and several social events that promote healthy workplace relationships. Thus, my comfort and ease at my workplace allows me to consider Montessori Learning Centre as another home.